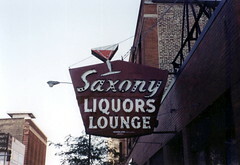 This location is now the Uptown Lounge, on Lawrence near Broadway. Click on image for larger view, and to see more photos by Mark2400. Image courtesy of Flickr.